Derrick “Fly Ty” Jacobs warned everybody coming to the stage for the Central Intercollegiate Athletic Association’s Education Day session at the Charlotte Convention Center that he had one important rule: You gotta dance. The popular Charlotte, North Carolina, radio DJ and voice of Michael Jordan’s Charlotte Hornets made no exceptions; even the city’s new mayor, Vi Lyles, was not spared. One by one, the speakers stepped to the stage doing the Dougie, the Harlem Shake and the Nae Nae. 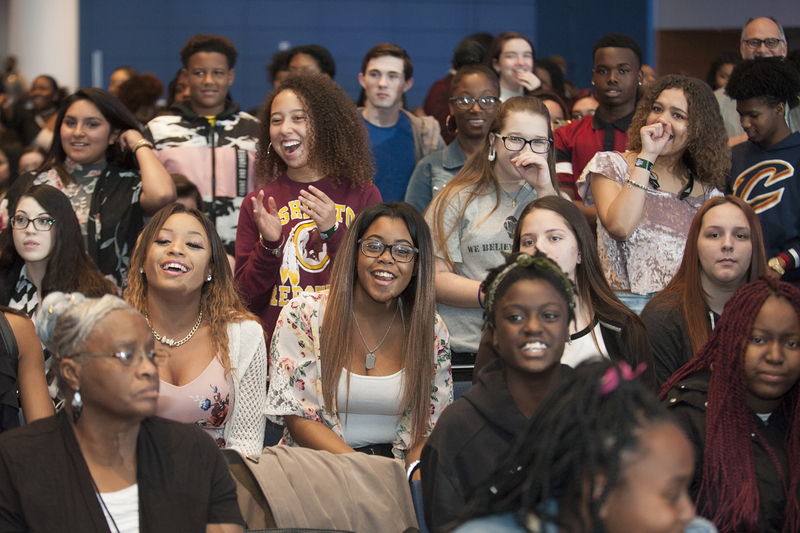 It was much to the delight of more than 5,000 middle and high school students all looking for post-high school guidance and opportunities to attend CIAA schools. 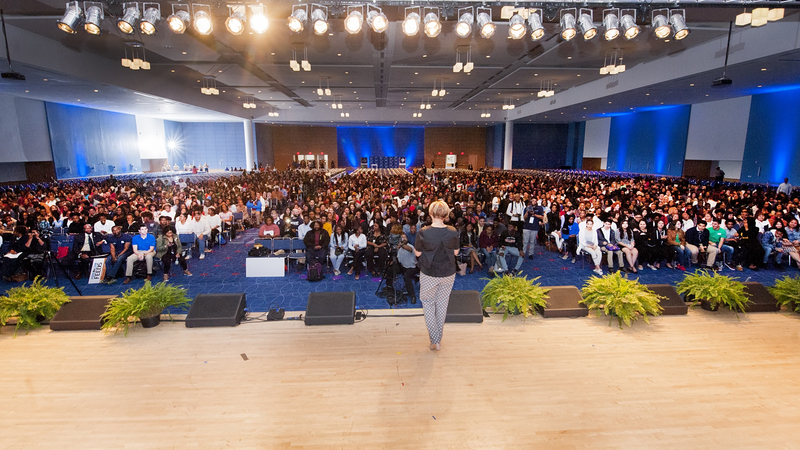 Charlotte mayor Vi Lyles encourages the thousands of middle and high school students at the CIAA’s Education Day, which was an opportunity for students to learn about achieving goals and higher education opportunities, as well as a chance to get on-the-spot admission to one of the CIAA’s 12 member schools. 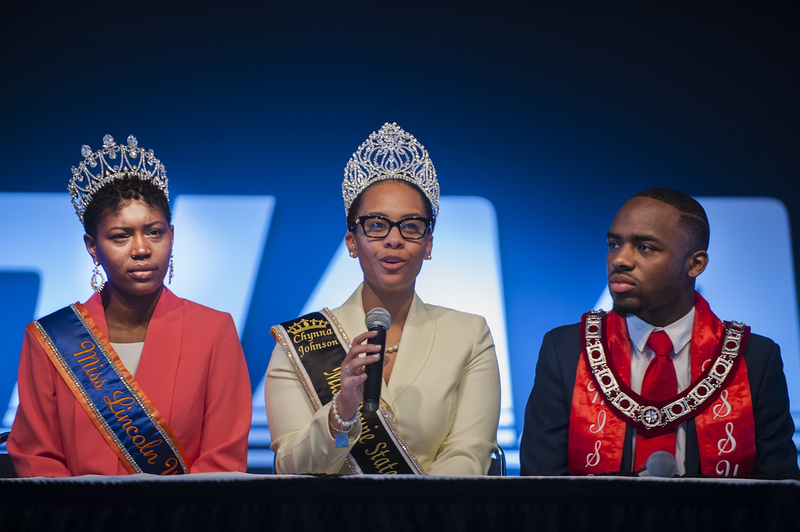 Chynna Johnson (center), a senior at Bowie State University, addresses students during the CIAA Education Day session as Nile Garner, a senior at Lincoln University of Pennsylvania, and Jerel Smith (right), a senior at Winston-Salem State University, look on. 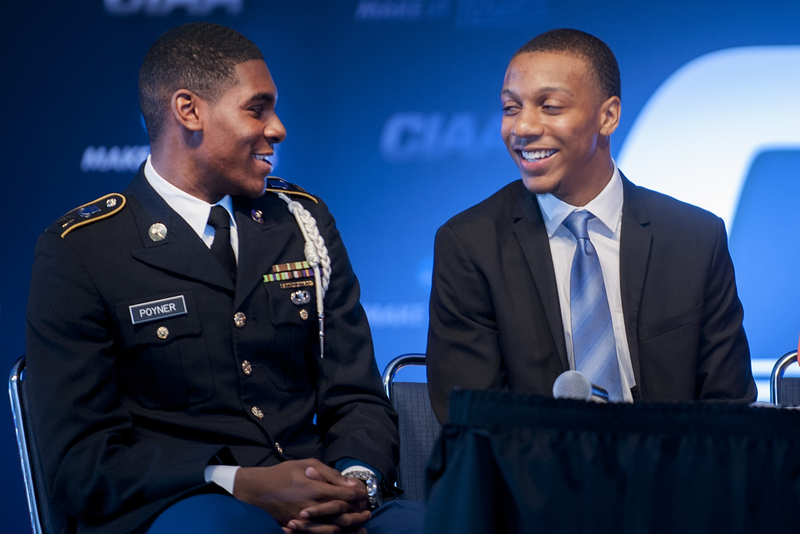 Lenox Poyner (left), a junior at Elizabeth City State University, and Marquee Vines, a senior at Chowan University, share a moment on stage during a panel discussion at Wednesday’s CIAA Education Day activities. You know it’s a good day when you get to mingle with friends and learn about goal-setting, as these students did during the CIAA’s Education Day session. 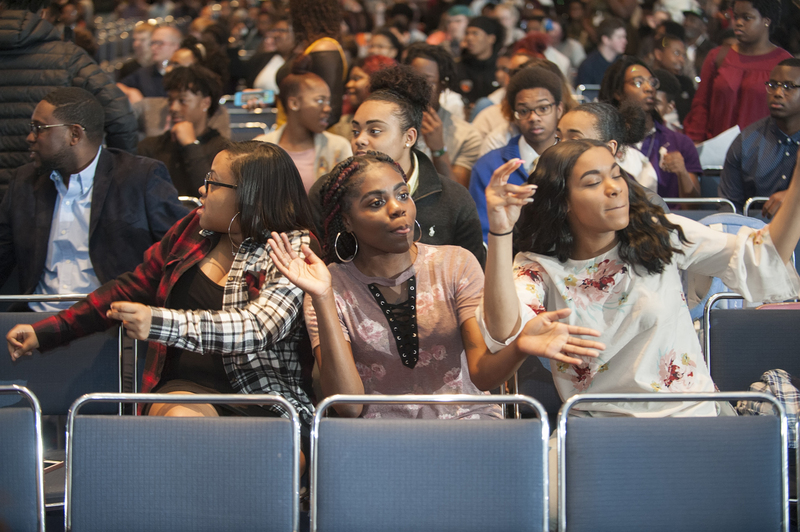 Students were encouraged to set achievable high goals, keeping their eyes on the prize, during the CIAA’s Education Day session at the Charlotte Convention Center. The vibe during the CIAA’s 2018 Education Day session was ripe for learning, connecting and collaborating.